Interstate Pneumatics TF3135 Angle-In tapered Inflator Chuck with TF3000 Inflator. 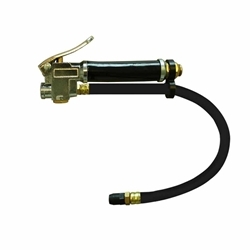 Tire Inflators feature chrome plated metal castings, precision machined brass internal parts, and Buna-N (Nitrile) O-rings. All models have 1/4" NPTF inlet threads. Angle-In Tapered Chuck -Designed foreasy use with most sport (alloy) wheels. 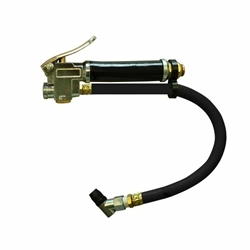 Interstate Pneumatics TF5000 10-120 PSI in 2 PSI increments Heavy Duty Inflator for Trucks (Body only). 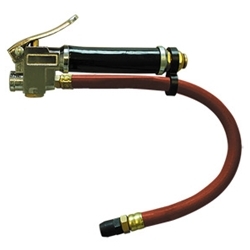 Tire Inflators feature chrome plated metal castings, precision machined brass internal parts, and Buna-N (Nitrile) O-rings. All models have 1/4" NPTF inlet threads. Medium Duty Inflator - for large trucks. Indicates 10-120 PSI in 2 PSI increments. 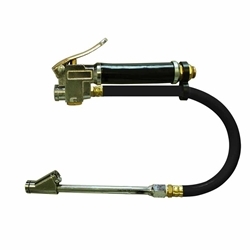 Interstate Pneumatics TF5108B Straight-In Dual foot 6 Inch Ext Heavy Duty Inflator for Trucks. Tire Inflators feature chrome plated metal castings, precision machined brass internal parts, and Buna-N (Nitrile) O-rings. 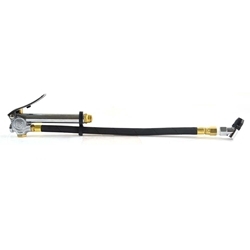 All models have 1/4" NPTF inlet threads. 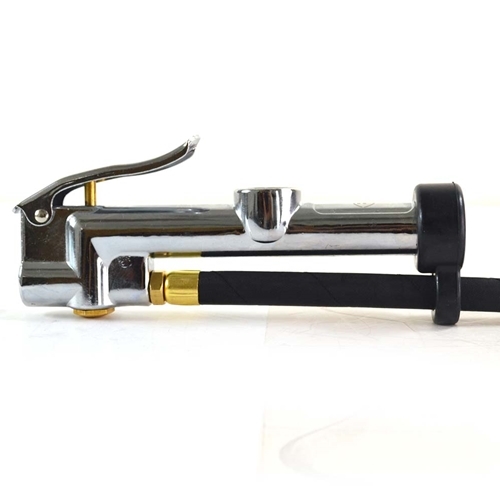 Straight-in Dual Foot 6" Extension Chuck - Fits both valves on dual wheels. 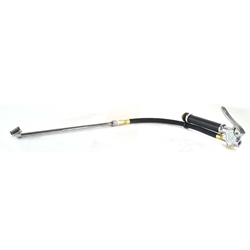 Interstate Pneumatics TF5135 Angle-In tapered Inflator Chuck with TF5000 Inflator. Tire Inflators feature chrome plated metal castings, precision machined brass internal parts, and Buna-N (Nitrile) O-rings. All models have 1/4" NPTF inlet threads. Angle-In Tapered Chuck -Designed foreasy use with most sport (alloy) wheels. 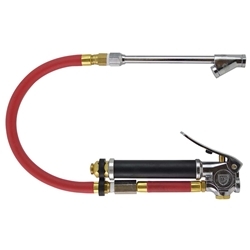 Interstate Pneumatics TF5137 Dual Foot 6 Inch Ext - Truck Inflator Chuck with TF5000 Inflator. 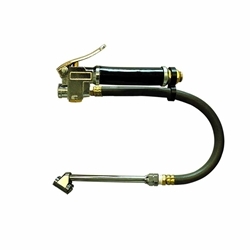 Brand new, Dual Foot, 6 Inch Ext, Truck Inflator Chuck with TF5000 Inflator, TF5137. 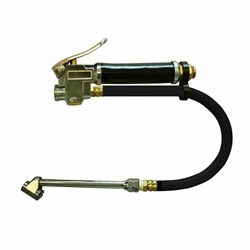 These are high quality Truck Inflator chucks offered at very low price! 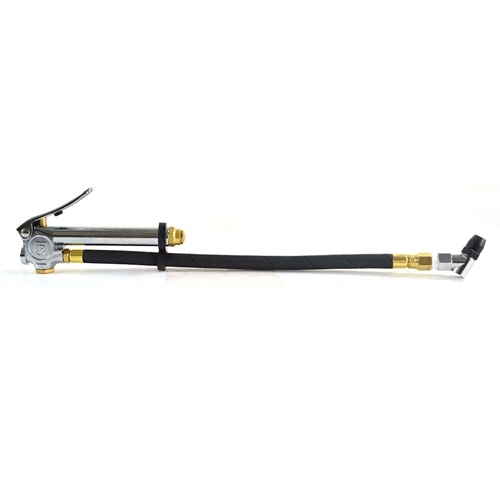 Dual Foot 6" Extension Truck Chuck - Fits both valves on dual wheels. 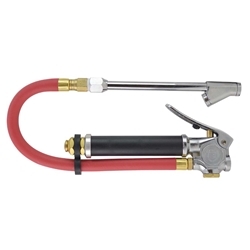 Interstate Pneumatics TF5137L Inflator Chuck with TF5000 Inflator - Dual Foot 11" Ext - Truck. Tire Inflators feature chrome plated metal castings, precision machined brass internal parts, and Buna-N (Nitrile) O-rings. All models have 1/4" NPTF inlet threads. Dual Foot 11" Extension Truck Chuck - Fits both valves on dual wheels. 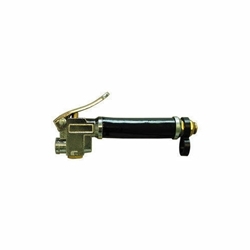 Interstate Pneumatics TF5146 Straight-in Tapered Inflator Chuck with TF5000 Inflator. 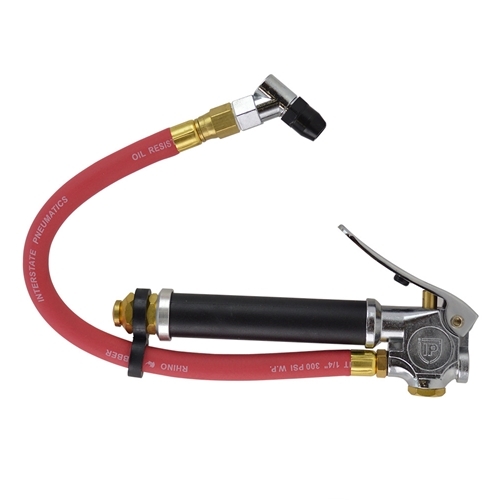 Tire Inflators feature chrome plated metal castings, precision machined brass internal parts, and Buna-N (Nitrile) O-rings. 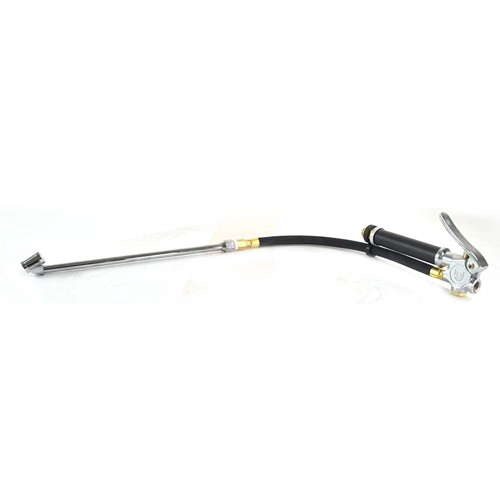 All models have 1/4" NPTF inlet threads. Straight-In Tapered Chuck - Fits recessed valve holes. Interstate Pneumatics TF9108L Tire Inflator TF9000 with Straight-in Dual foot 11" Truck Chuck T08L. Tire Inflators feature chrome plated metal castings, precision machined brass internal parts, and Buna-N (Nitrile) O-rings and a bubble lens for easy reading. 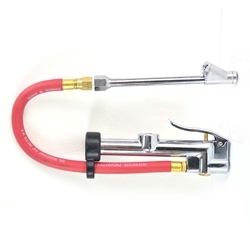 All models have 1/4" NPTF inlet threads. Straight-in Dual Foot 11" Extension Chuck - Fits both valves on dual wheels. 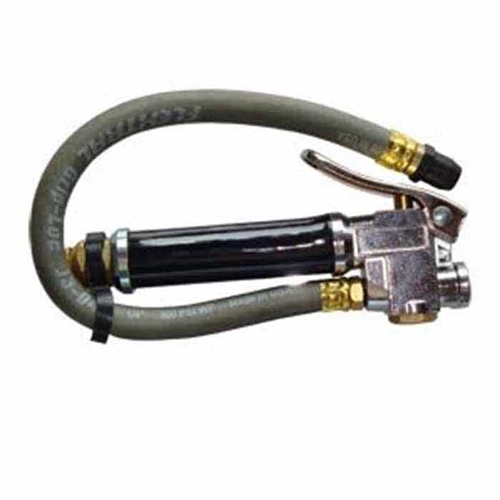 Interstate Pneumatics TF9135 Tire Inflator TF9000 with Angled Tapered Chuck T05. 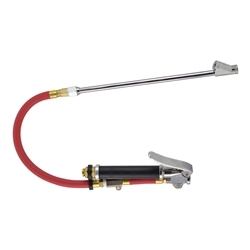 Tire Inflators feature chrome plated metal castings, precision machined brass internal parts, and Buna-N (Nitrile) O-rings and a bubble lens for easy reading. All models have 1/4" NPTF inlet threads. Angle-In Tapered Chuck -Designed foreasy use with most sport (alloy) wheels.